If you hang out here often, ya’ll know I love Instagram and Facebook, but I do not recommend putting all of your eggs in the social media basket because we do not own our followers. I am a huuuuge fan of diversifying your marketing efforts. In order to grow our businesses in the long term, we need a way to connect with our community on a deeper level in a place we OWN: an email list. According to a 2017 study by John Valenty, 1 email list subscriber = between $.25-$1.00 per MONTH in income generation. What would you do with another couple hundred or even thousands of dollars per month in revenue?! This is true in my business, too. 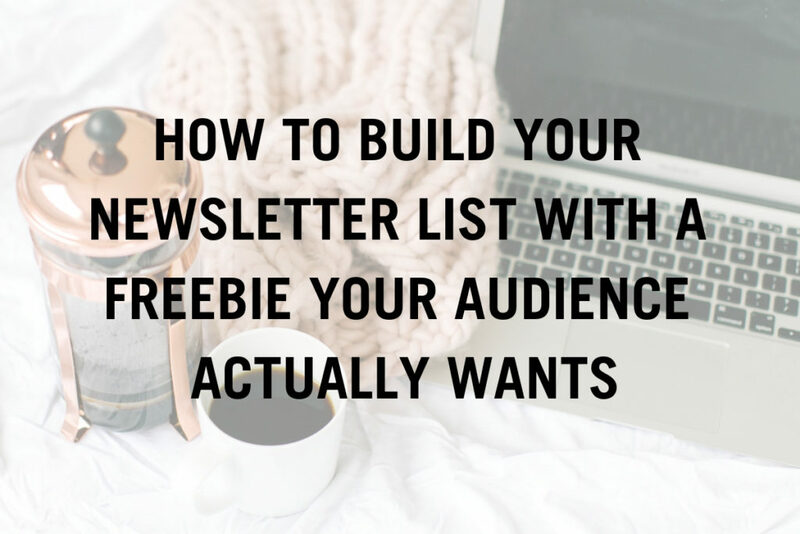 Every week, my newsletter list is the number one way I connect with prospective customers for my business. In order to gain subscribers, you have to give them something for free. But which of these does your audience actually WANT?! What I’m about to tell you is something I have done a thousand times over and I still continue to do it to this day: Test, test, test. Once you’ve tested those topics and you know what people reacted best to, THAT is what you create a freebie around. This can be a pretty PDF, a video, a worksheet, or something else. Then, advertise it to your audience and drive traffic to the landing page. And if for some reason the freebie doesn’t work with your audience, try a new idea. The only way to know if you’re creating a freebie your audience actually WANTS is to test the content, create a freebie around the most popular post, rinse and repeat. If you follow these steps, boo, I promise your audience will be so excited for what you have to share. And I will be too!